Try walking past a mithai shop anywhere in North India at Diwali time. 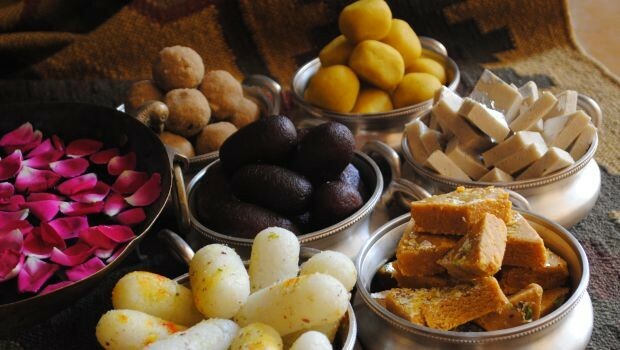 You will be pushed and jostled by milling crowds who may never buy or even consume mithai the rest of the year, but Diwali is inextricably linked with the sweet stuff. Of recent years, chocolates and macarons are threatening to unseat mithai from its bastion during Diwali, but personally, I don’t think they stand a chance in the long term.